Hey developers (and budding developers)! Think you're pretty saavy when it comes Salesforce? Demonstrate your mastery of the platform and earn the best badge possible - an honorary CRM Science lab coat! 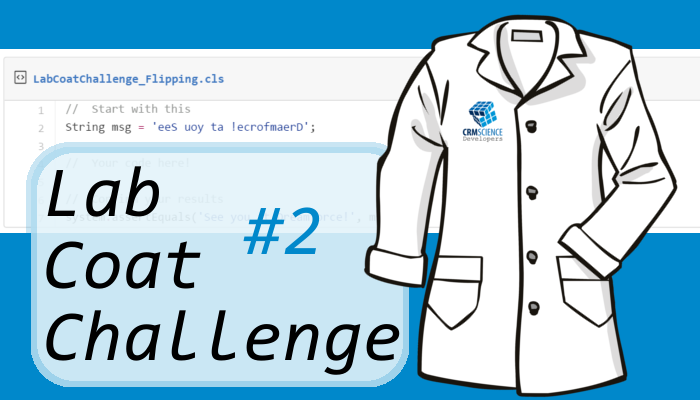 Challenge #2 is a simple task! Turn "eeS uoy ta !ecrofmaerD" into "See you at Dreamforce!" See what we did there? How few statements do you need? Up to the challenge? Review the rules, full details and starter code here!